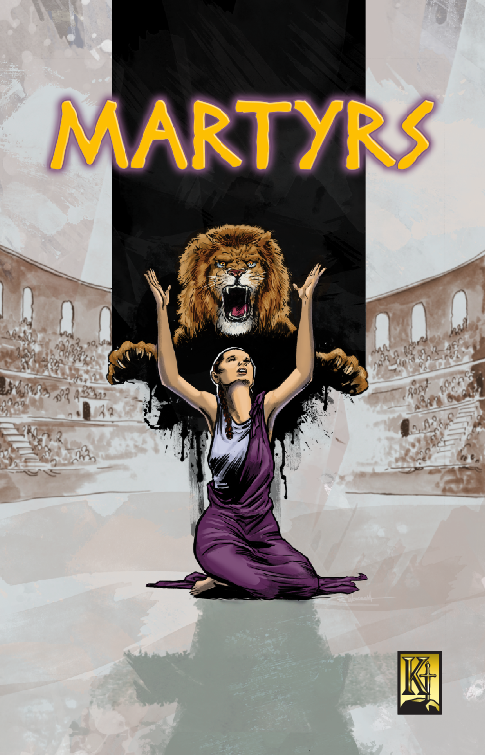 Kingstone Comics contacted Clash to produce a comic recounting true stories of Christian martyrdom. 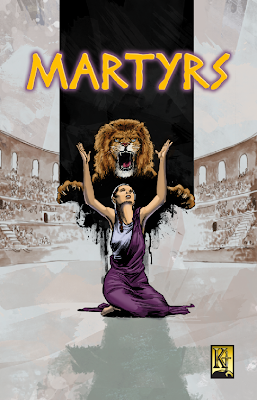 "Martyrs" features 4 stories: Stephen written by Ben Avery; Perpetua written by novelist Rene Gutteridge writing her first comic book story, The 40 Faithful Legionnaires written by Lee Wanaselja, and Polycarp by Roland Mann. There were nearly a dozen artists, colorists, and letterers involved in the 32-page book. The cover illustration is by Rob Woodrum. About Kingstone Comics: Kingstone Media Group was established to create and provide the highest values in media - both in product quality and in creative concept. 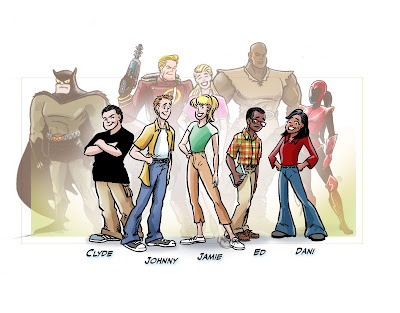 Kingstone Comics is the comics and graphic-novels arm of the group. Kingstone is based in the entertainment hub of central Florida but is experiencing and enjoying a growing fan base around the world. 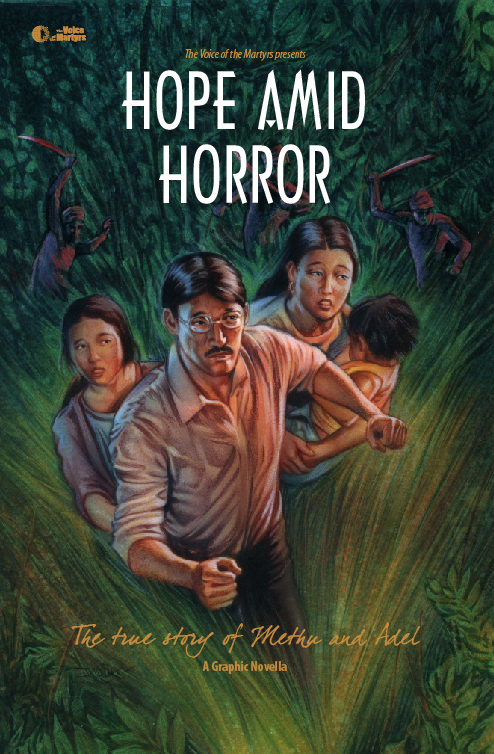 For The Voice of the Martyrs, Clash produced a 28-page comic entitled "Hope Amid Horror" telling the story of a Christian couple caught up in the jihad in Indonesia in 2000-2001. This powerful, redemptive story was written by Ben Avery, and beautifully illustrated by Rob Woodrum. 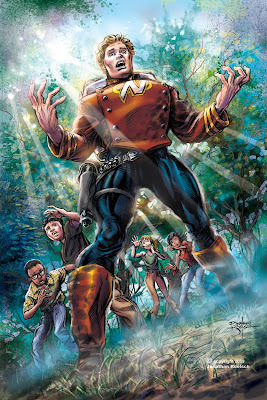 With cover art by Douglas Klauba. 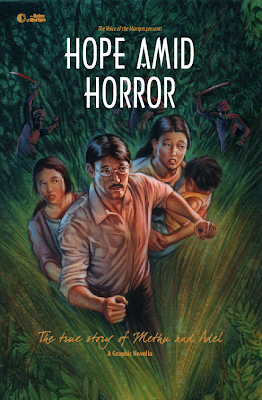 “Hope Amid Horror” can be purchased from The Voice of the Martyrs. Both books will also be available from Kingstone Comics. About The Voice of the Martyrs: The Voice of the Martyrs is a non-profit, inter-denominational Christian organization dedicated to assisting the persecuted church worldwide. VOM was founded in 1967 by Pastor Richard Wurmbrand, who was imprisoned 14 years in Communist Romania for his faith in Christ. His wife, Sabina, was imprisoned for three years. In the 1960s, Richard, Sabina, and their son, Mihai, were ransomed out of Romania and came to the United States. Throughout their lives, the Wurmbrands spread the message of the atrocities that Christians endure in restricted nations, while establishing a network of offices dedicated to assisting the persecuted church. The Voice of the Martyrs continues in this mission around the world today. 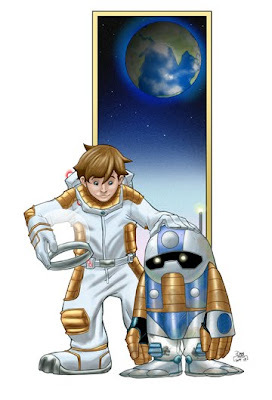 The Story: Moonbeam Bobby is the story of Bobby Moonbeam, a pre-teen boy who lives on the moon. Bobby hates his name and he hates living on the moon. He wants to go to earth because he imagines life there to be everything it is not on the Moon. Spiritual Emphasis: To entertain and educate and to encourage. Believers, especially younger believers, often feel like they are alone in the way they think and believe. Moonbeam Bobby is intended to encourage young believers to stay strong in their beliefs! The Story: Five 13-year-olds are transformed into living, life-sized action figures. Spiritual Emphasis: The key for this series is to encourage non-violent problem solving. Comic books tend to resolve conflicts with fists and force. This series is intended to represent the other end of the spectrum. Credits: Ben Avery, writer; Johathan Koelesh & Bud Rogers, artists. The Story: It’s Pilgrim’s Progress told through the lens of Star Wars, as young Xian must navigate an allegoric world of strange creatures and giant robots. Spiritual Emphasis: Pilgrim’s Progress has long been hailed as one of, if not THE, greatest Christian allegory in history (excepting, of course, Jesus’ own parables). It was also written not long after the King James Version of the Bible, making its language and some of its ideas inaccessible and incomprehensible to the general reader. 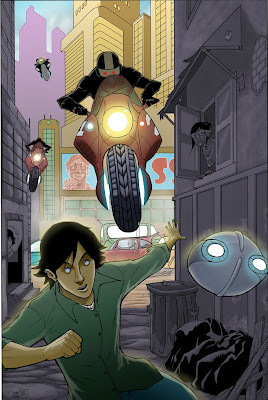 The idea behind XIAN: VOYAGE OF THE PILGRIM is to take the allegories and adventures of young Christian and translate them for an audience weaned on Star Wars and The Matrix and comic book/manga adventures. The Story: We produced this comic strip to pitch to evangelical organizations that recruit teens for short-term mission trips. A sampling of some Clash Creativity.